THEN: This picture was taken on 11 August 1917, the opening day of the J-Church streetcar line. 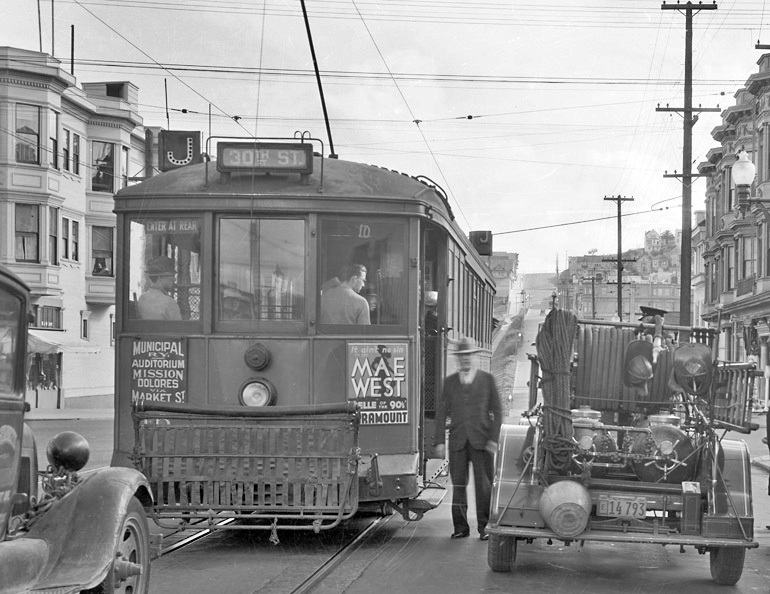 James “Sunny Jim” Rolph, the Mayor of San Francisco, is piloting the streetcar. NOW: The location is in the western section of Mission Dolores Park and is contiguous with Church Street. This streetcar is traveling outbound, and the view is looking north. This photograph was taken on 13 August 2017. 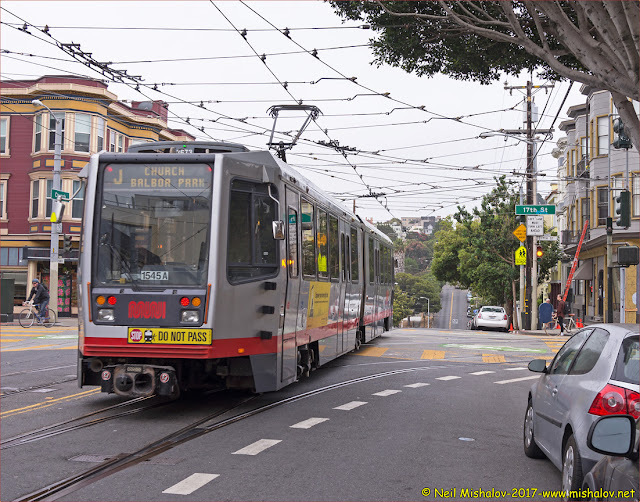 11 August 2017 was the 100th anniversary of the public opening of San Francisco’s J-Church streetcar line. 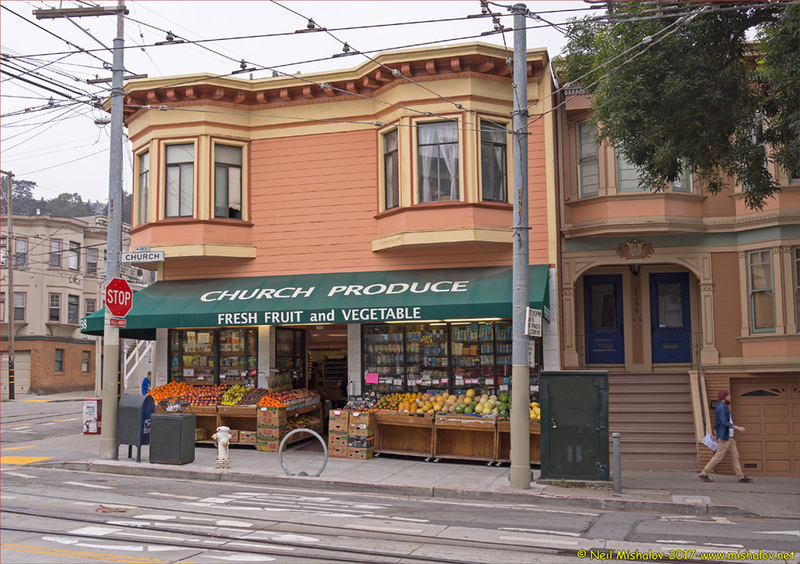 The J-Church Muni Metro light rail line still runs along the same route down Market and Church streets, through Mission Dolores Park and then to Noe Valley. The J-Church light rail streetcar line follows a unique path along its roughly seven-mile route. 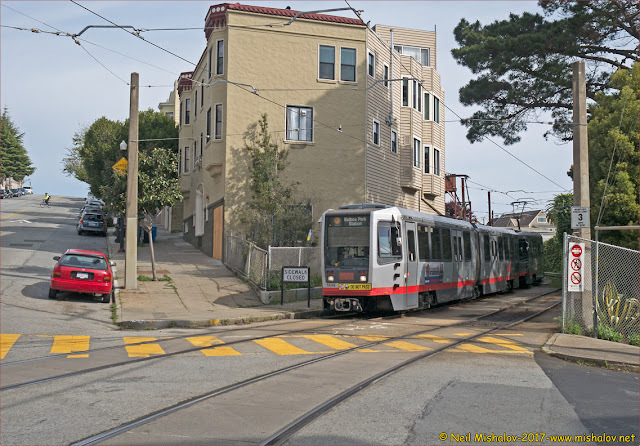 Most of the original J-Church tracks were installed by mid-1916, but the line remained incomplete due to disagreements between the private United Railroads Company, the City of San Francisco, and residents who lived near the new streetcar line. For several years, a group of San Franciscans who lived on the steep portion of Church Street in the Dolores Heights neighborhood, wanted the streetcar line to be served by cable cars instead of electric streetcars. Most people saw cable cars as an outdated and slow form of transit, and the electrified J-Church streetcar prevailed as the type of streetcar used on the J-Church transit line. The line was, however, built with a unique route to bypass the steep section of Church Street. 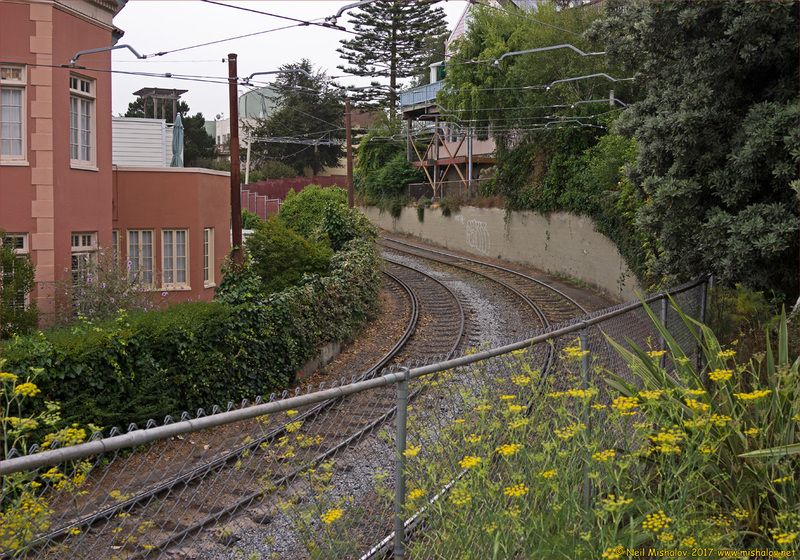 Instead of a straight path over the hill, the J-Church line was constructed on a route through a small portion of Mission Dolores Park, and thanks to an eminent domain ruling by the California State court, a small part of the line runs through the former backyards of houses south of Delores Park. The J-Church streetcar line made its first official run on Saturday 11 August 1917, to great fanfare. For about eight decades, the J-Church streetcar line ran from the Ferry Building to the terminus of the line at Church Street at 30th Street in Noe Valley, providing an important downtown connection for residents. 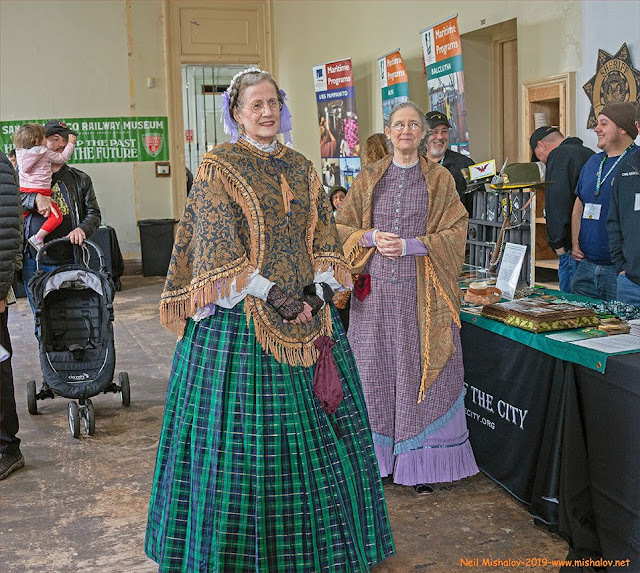 By the late 1970s, the BART system was operational, the Muni Metro system was nearing completion, and Muni started planning to extend the J-Church light rail line to the Balboa Park BART Station. 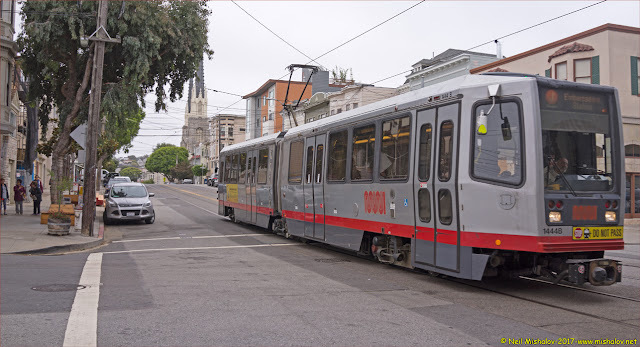 This extension would provide better service and a new regional transit connection for the south-central part of San Francisco. While a continuation of the line had been studied as early as the 1920s, the line was not completed until the 1990s. The J-Church light rail line extension was constructed along San Jose Avenue through the “Bernal Cut,” a pathway built by the San Francisco & San Jose Railroad in 1863 to run trains in between the slopes of Bernal Heights and Glen Park. Today, the J-Church Muni Metro light rail line continues to provide a vital transit service. 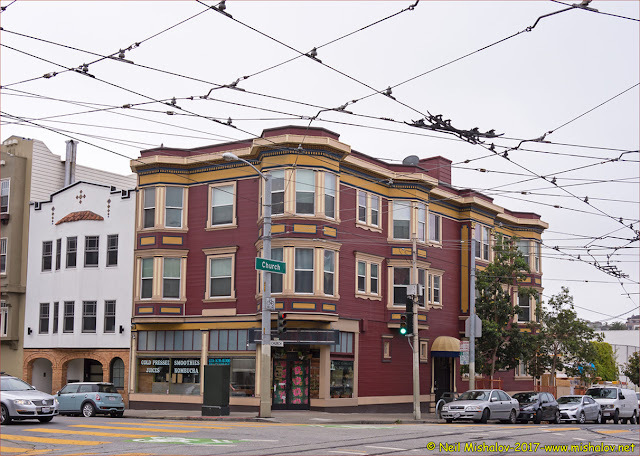 I visited the J-Church transit route on Sunday 13 August to take some photographs of the streetcar line on its one-hundredth anniversary. 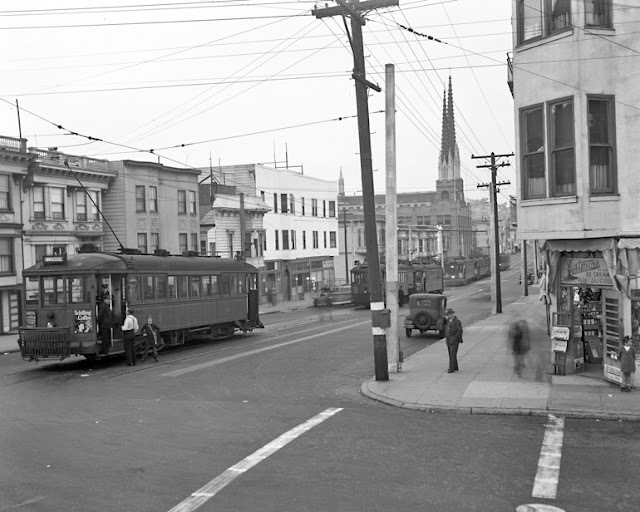 THEN: Here is an outbound J-Church streetcar on Church Street at Seventeenth Street. The picture was taken in 1934, and the view is looking south. That is a San Francisco Fire Department fire engine adjacent to the streetcar. NOW: This is the same location eighty-three years later; the two buildings visible in the 1934 photograph are still standing. THEN: This picture was taken in 1940. The location is at Church Street at Thirtieth Street. At that time this site was the southern terminus of the J-Church line. You can see six or seven streetcars queued up to traverse the route. NOW: This is the same location seventy-seven years later. In 1991 the J-Church light rail line was extended to the Balboa Park BART station. 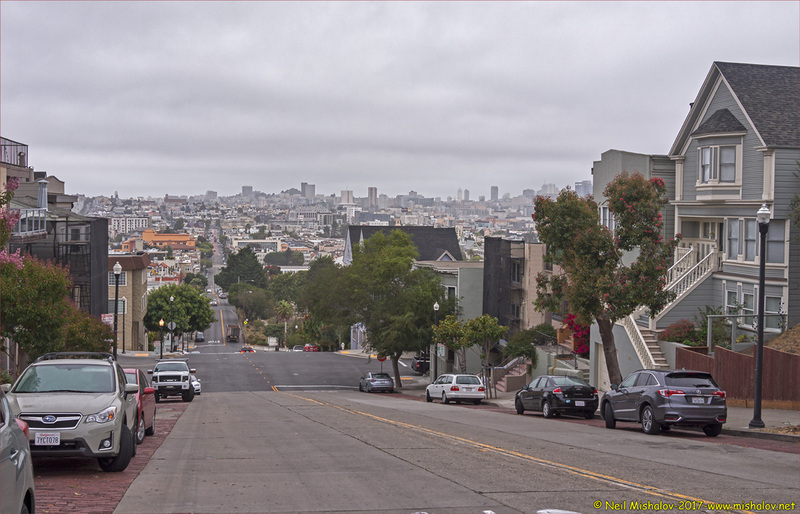 This view is looking north from the summit of Church Street. This is where the J-Church route enters the northern side of the Church Street bypass. The bypass removes the need to ascend to, and descend from, the summit of Church Street. The view is looking southeast. Here is an outgoing J-Church Muni Metro light rail streetcar exiting the southern section of the Church Street bypass and re-entering Church Street. The view is looking northeast. 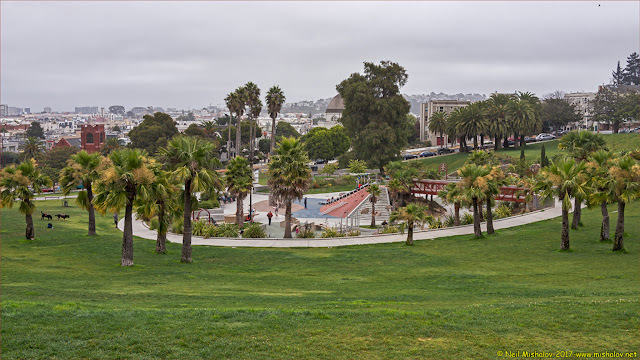 This is a view of the recently updated Helen Diller Playground area of Mission Dolores Park. The view is looking southeast. 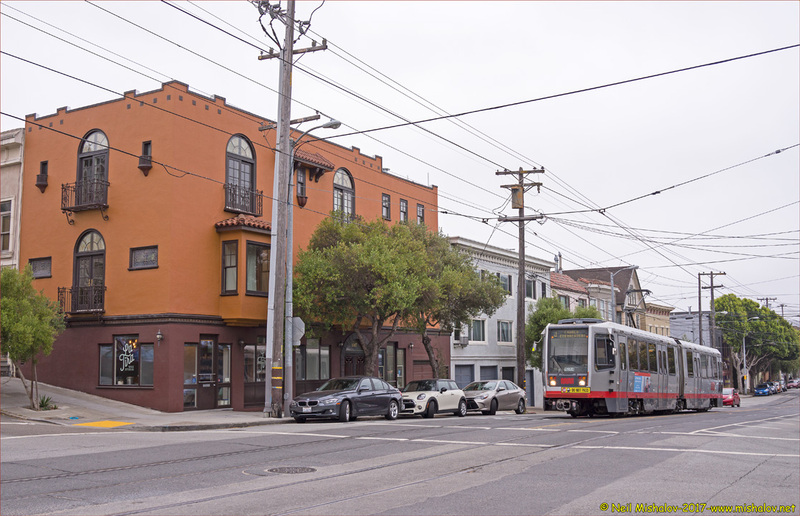 An inbound J-Church Muni Metro light rail streetcar heading north on Church Street. This is the intersection of Church Street and Twenty-sixth Street. The view is looking northeast. 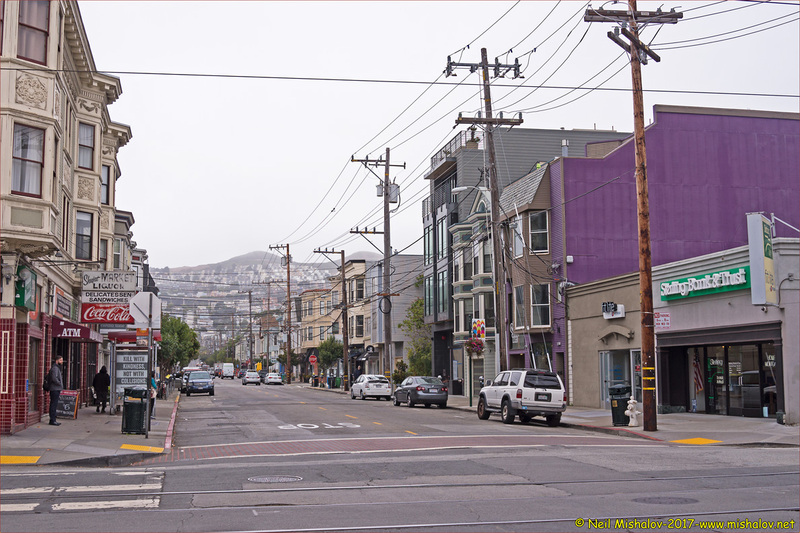 Here is a view of Twenty-fourth Street as seen from Church Street. Twin Peaks are visible in the background. 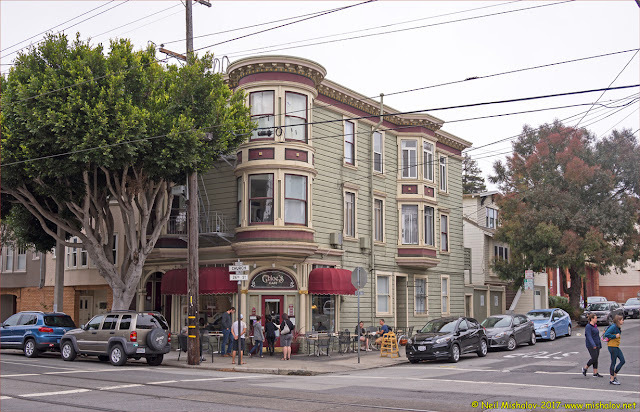 Twenty-fourth Street is the main shopping area in Noe Valley. The view is looking west. 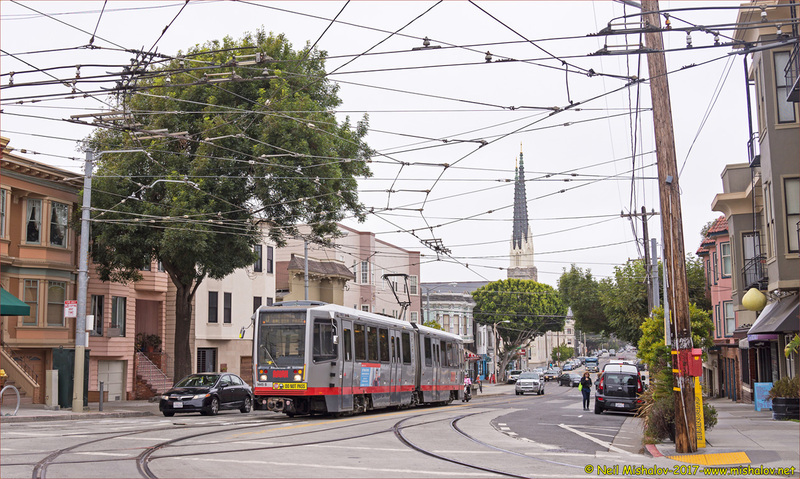 This is an outbound two-car J-Church Muni Metro light rail streetcar. The view is looking south, and the location is Church Street at Twenty-seventh Street. 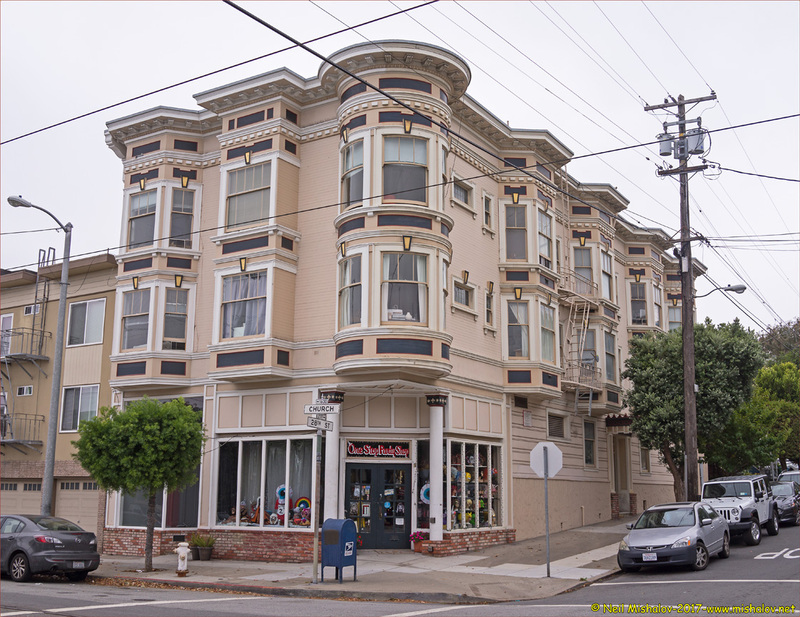 This apartment building is located at the intersection of Twenty-eighth Street and Church Street. The view is looking northeast. This is St. Paul's Catholic Church. It is located on Church Street at Valley Street. The view is looking southwest. The church building was dedicated on 29 May 1911. This was the original location of the southern terminus of the J-Church streetcar line. In 1991 the line was extended to the Balboa Park BART station. This location is at Church and Thirtieth Street; the view is looking west. 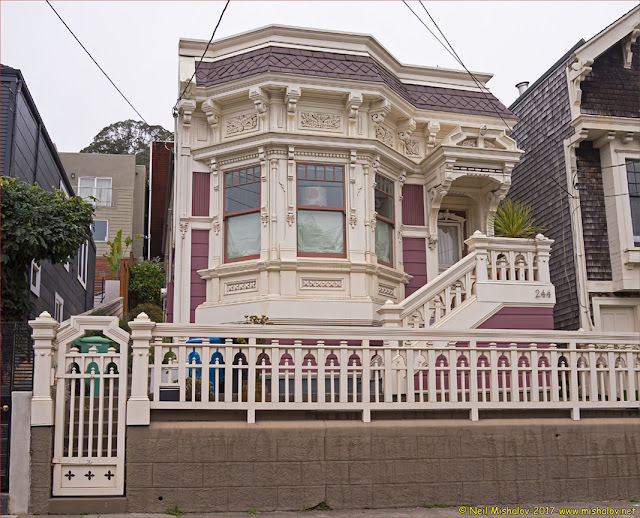 This house is located on Whitney Street. The view is looking west. 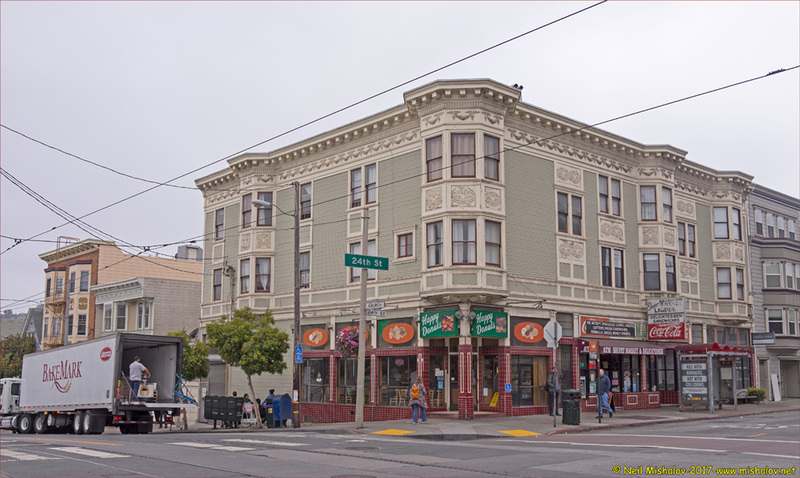 This apartment building is at the southeast corner of Seventieth Street and Church Street. The view is looking southwest. This is a view of an inbound J-Church Muni Metro light rail streetcar. 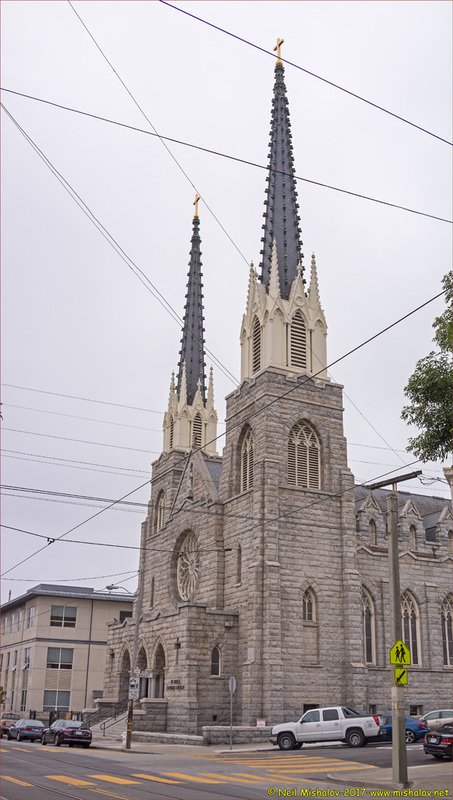 It is at the southeast corner of Twenty-fifth Street and Church Street. NOW This is a view of the building located at the southwest corner of the intersection of Church Street and Twenty-fourth Street. 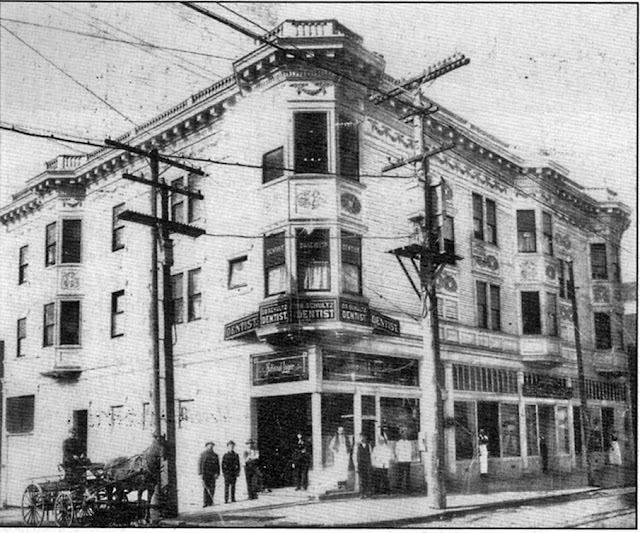 THEN The building was at the center of the Noe Valley business district when this picture was taken in 1878. The picture is courtesy of the Noe Valley Archives. Thanks to the San Francisco Municipal Transportation Agency and Jeremy Menzies for providing information about the history of the J-Church streetcar line.